NEW DATA SHOWS the number of people who had their gas or electricity supplies cut off for not paying bills rose in June. The latest report from the Commission for Energy Regulation (CER) details that more than 1,000 gas or electricity customers had their supply cut off in June. 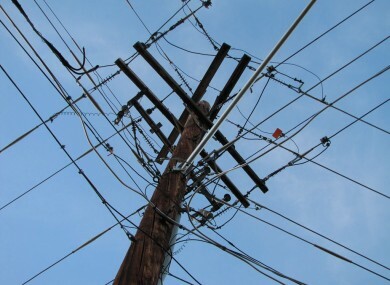 As many as 726 customers, up 20 from May, had their electricity supply disconnected for non-payment of account. The majority (267) of these were Electric Ireland customers for the second month in a row, followed by Bord Gáis Energy with 199. There were 125 fewer gas disconnections compared when compared with May. As with previous months, BGE topped this with 293 out of a total of 392 disconnections. The data shows that PrePay Power had the highest rate of disconnection of domestic electricity customers for the second month in a row. PrePayPower state that they only disconnect in situations where they suspect a site of being vacant based on an analysis of vend and consumption data. A backlog of such sites was disconnected during April, May and June 2014. The report details the disconnection rate per every 10,000 customers with Electricty, SEE Airtricity, Bord Gáis Energy, or PrePay Power for non-payment of account. PrePay Power come out on top with a rate of 10.02 in June, down from 15.39 in May. The supplier had a rate of 3.73 in April. Last month, BGE had a rate of 6.77, SEE at 5.04 and finally Electric Ireland with 2.12. These figures take into account the market share of each supplier. Email “More than 1,000 customers had their electricity or gas cut off in June”. Feedback on “More than 1,000 customers had their electricity or gas cut off in June”.